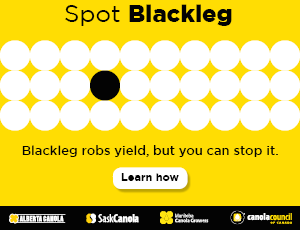 Key practice: Target a population of at least seven plants per square foot to maintain yield potential for canola. seeding stresses without dropping below the minimum five plants per square foot required for canola yield potential. Key research: Leeson, Julia, Agriculture and Agri-Food Canada (AAFC). on Survey Data.” Canola Digest Science Edition (2013). Shirtliffe, Steve, University of Saskatchewan. “Determining the Economic Plant Density in Canola.” Canola Agronomic Research Program based on summary data from 35 experiments (2009). Canola growers are losing yield potential through reduced plant population. Crops with low stand densities are more vulnerable to losses from disease, insects, weed competition, uneven maturity and environmental stresses. Although crops with low stand densities are forced to compensate through increased pod and seed production per plant, current research shows that improving stand density targets may result in significant yield gains.Through his 2009 meta-analysis of 35 canola studies, Steve Shirtliffe with the University of Saskatchewan studied the correlations between seeding rates, plant density and yield in both hybrid and open-pollinated canola. On average, he found that canola seeded at the recommended 5 lb./ac. yielded higher than canola seeded at 3 lb./ac. Shirtliffe also found that many canola growers reduce seeding rates in response to high seed costs. A grower who wants to economize on seed should only consider lower rates for fields that are expected to have optimum emergence, and maintain or increase seeding rates for fields with poorer expected emergence. However, given the larger thousand seed weight (TSW) of some seed lots and typical survival rates, even a 5 lb./ac. seeding rate may not produce the target stand. Once optimum seeding rate is calculated, the greatest factor under the farmer’s control becomes seed placement. Seed slow enough to ensure good and even seed depth from all openers. “Using an accurate air drill with precise seed depth control operated at low field speeds will ensure that farmers can achieve the best possible emergence,” writes Shirtliffe. Data from surveys conducted in Prairie canola fields between 2000 and 2012 show that, in all years surveyed, an average of 60 percent of fields had at least some patches where the crop count was less than four plants per square foot. This translates to an average of approximately 30 percent of all Prairie acreage with too few plants to reach yield potential. Julia Leeson, biologist with Agriculture and Agri-Food Canada in Saskatoon, led these surveys, which included grower interviews and in-field assessment. Of the growers surveyed, all fields seeded at rates greater than 5 lb./ac. had crop stands within or above the recommended range. Establishing a relatively thick stand gives a canola crop the best chance of success. Large-size seed may or may not provide increased early season vigour compared to smaller seed, but the minimum stand to reach yield potential is ultimately five plants per square foot, regardless of thousand seed weight (TSW). Targeting a population of at least seven healthy plants per square foot allows for some plant mortality without dropping below this density.